This is not the first time that I buy a book on Kindle, start reading it and end up buying a "real" copy to be able to underline it and write my notes -with real pens-, and truly make it my own. The book I am now talking about is by A.W. Pink and it is entitled Gleanings from Paul: The Prayers of the Apostle. I plan to share some portions of it with you as I read through. I don't know about you, but for me the temptation to take matters into my own hands is real, which means that reading these words was convicting. However, as with all temptations, there is way out; and we the effectual remedy against the temptation of taking things into our own hands is Prayer. 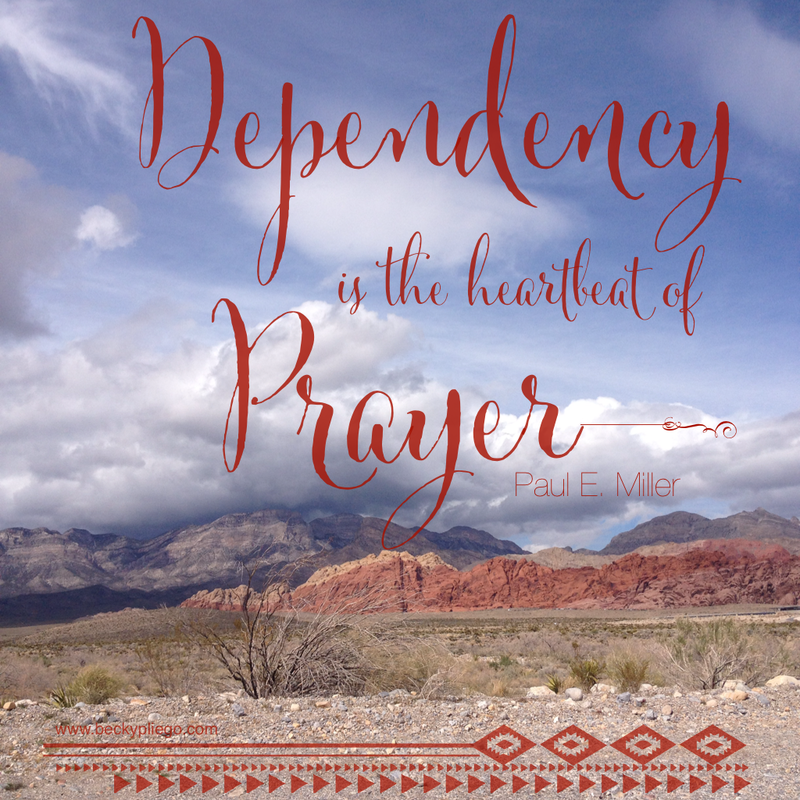 I read once that dependency is the heartbeat of prayer; and now think about this, when we decide to take things into our own hands -instead of praying and trusting in God and in His Providence- we are in a sense saying, "God, I don't think you can handle this. I know which things need to be done and I will start doing those few things that must be done right now -before it is too late-." Sisters, as we start acting in urgency, responding to our own longings, impulses, and feelings we are in reality denying our dependency on God. And that, we all know, is a sin from which we need to repent. Really, Sisters, if we keep insisting into taking all the difficult circumstances into our hands instead of bringing them in prayer to God we will only going to make up messes. A.W. Pink reminds us, "Unless we 'rest in the Lord, and wait patiently for him' (Psa. 37:7) only confusion and trouble will ensue." Prayer is the only way to resist and overcome the temptation of taking things into our own matters because in prayer we say, "God, I cannot handle this on my own. I need you. Give me patience to wait in you, in your Providence; draw me to your Word, Oh Lord. Grant me a humble heart to seek advice, and a quiet heart to trust in your timing. I am wholly dependent on you, my sovereign Lord."